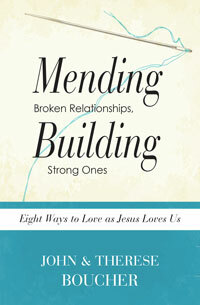 John and Therese Boucher are award-winning authors, teachers, and online instructors. Their books include When You Notice the Empty Pews, Making Friends with the Saints, and Evangelizing Unchurched Children. John has served as director of evangelization for the Diocese of Trenton for many years and is a columnist for the Evangelization Exchange online newsletter. Therese maintains a Web site (www.christkey.com) offering resources for evangelization. They have five adult children and live in Princeton, N.J. When our children become adults, we can't hold them on our laps and protect them like we used to. We need new strategies for caring for them. 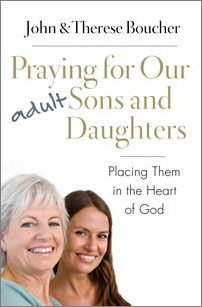 And the most important strategy of all is to lift up our adult sons and daughters in prayer and place them in the heart of God. . 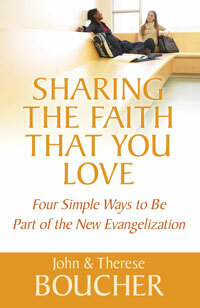 In this book, John and Therese Boucher encourage Catholics to share their faith in four simple and practical ways: praying for those we know who far from God, showing them Christ-like care and compassion, initiating faith-sharing conversations, and inviting them to join us at Mass and parish events.